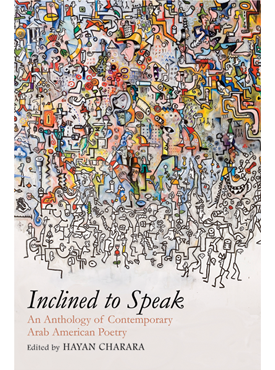 The first anthology of its kind, Indivisible brings together forty-nine American poets who trace their roots to Bangladesh, India, Nepal, Pakistan, and Sri Lanka. 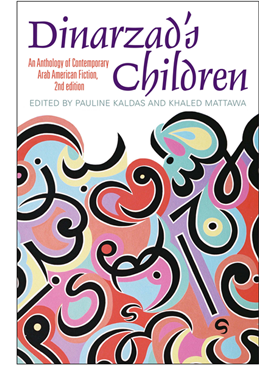 Featuring award-winning poets including Meena Alexander, Agha Shahid Ali, Chitra Banerjee Divakaruni, and Vijay Seshadri, here are poets who share a long history of grappling with a multiplicity of languages, cultures, and faiths. The poems gathered here take us from basketball courts to Bollywood, from the Grand Canyon to sugar plantations, and from Hindu-Muslim riots in India to anti-immigrant attacks on the streets of post–9/11 America. Showcasing a diversity of forms, from traditional ghazals and sestinas to free verse, experimental writing, and slam poetry, Indivisible presents 141 poems by authors who are rewriting the cultural and literary landscape of their time and their place. 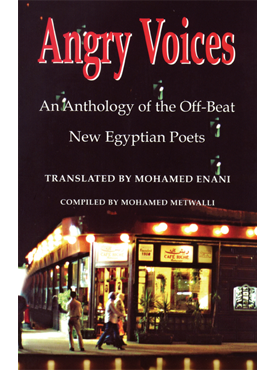 Includes biographies of each poet. Neelanjana Banerjee is a teaching artist at the San Francisco Writers Corps and a past editor-in-chief of Asian Week. Summi Kaipa is a graduate of the Iowa Writer’s Workshop, author of three chapbooks and a play, and past editor of Interlope magazine. She is currently completing her residency in neuropsychology. Kaipa lives in Berkeley, California. Pireeni Sundaralingam is an award-winning poet, playwright, and cognitive scientist. A former PEN USA fellow, her work has been published in England, Ireland, Sweden, and the USA. She is currently working on her first collection of poetry. “Like seedlings breaking through concrete cracks, the poems collected in Indivisible widen the literary landscape and expose the reader to fresh terrain. 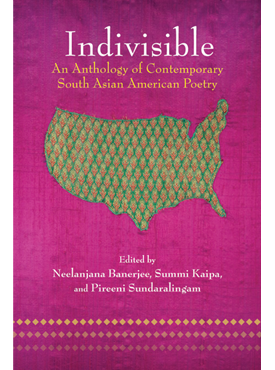 Gathering together for the first time of an expansive and varied set of voices representing the breadth of South Asian American poetry, reading Indivisible is like witnessing the wings of a newly discovered bird, outstretched, reaching for an untouched horizon.